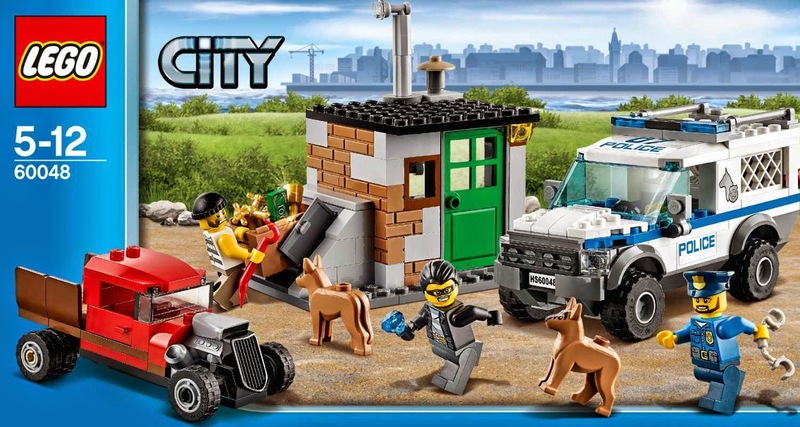 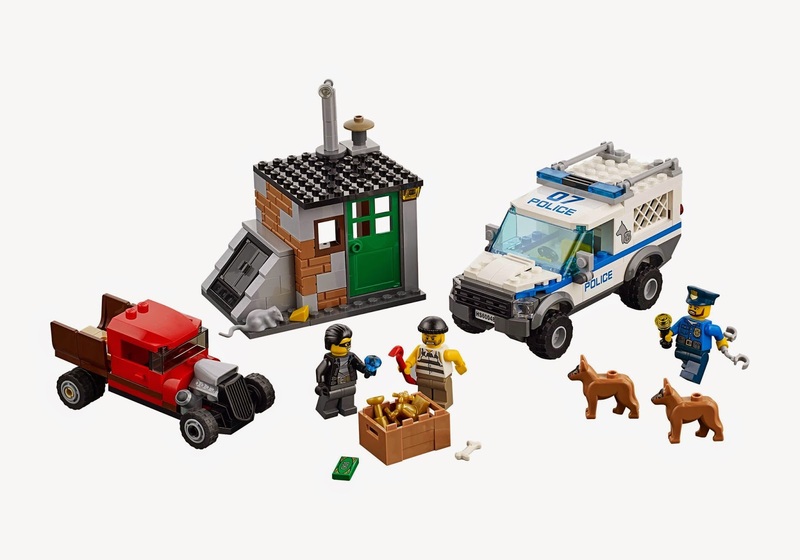 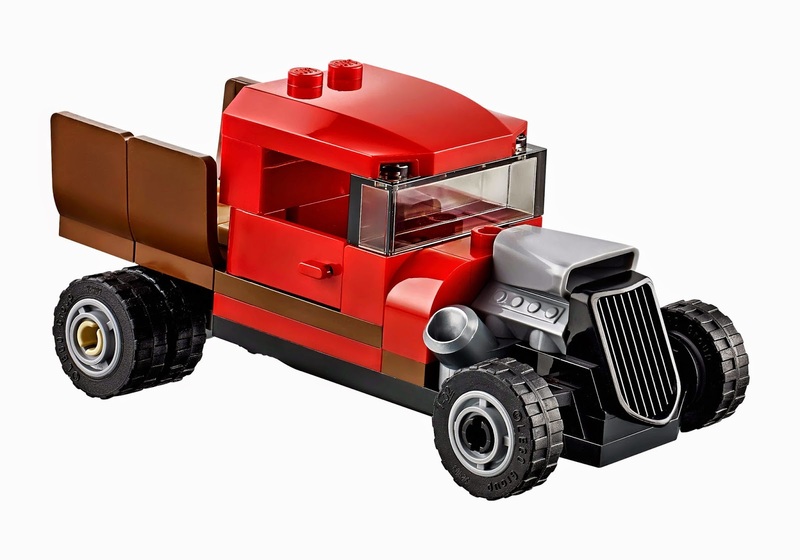 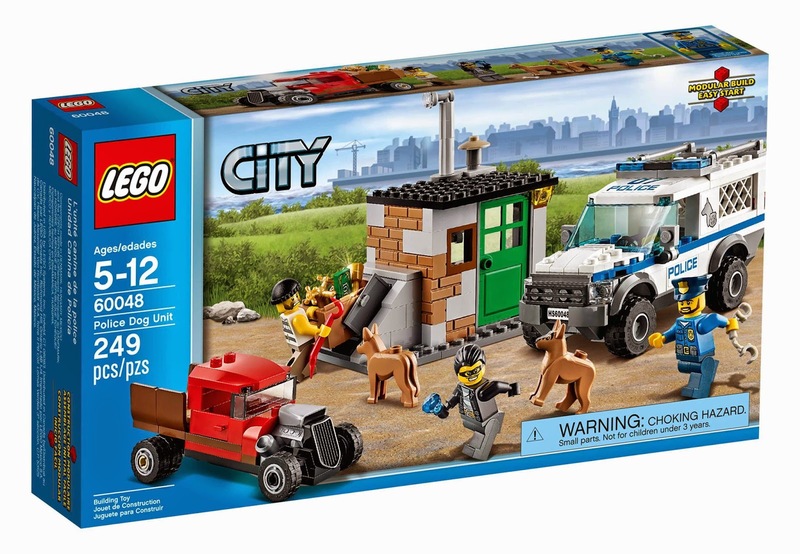 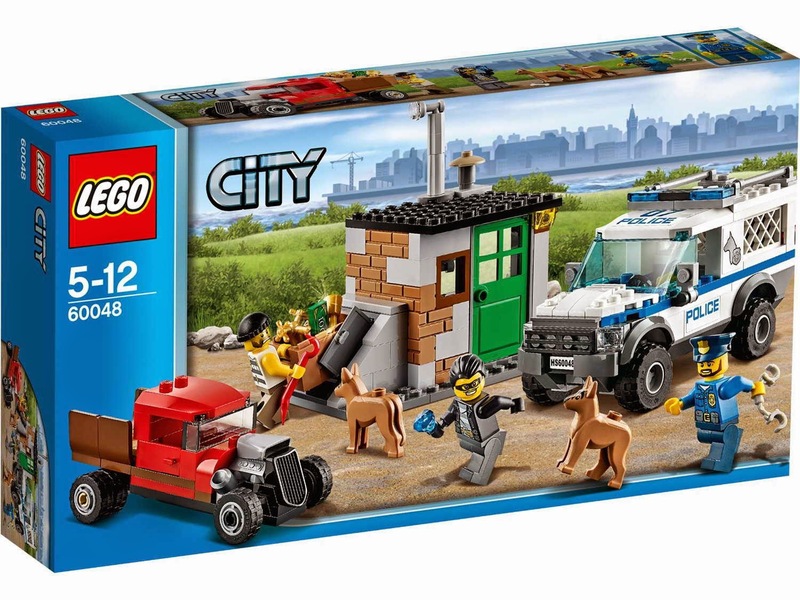 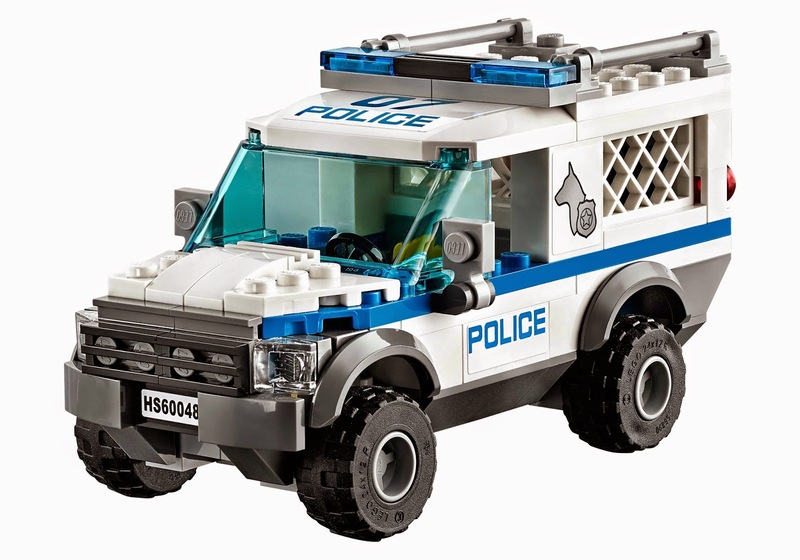 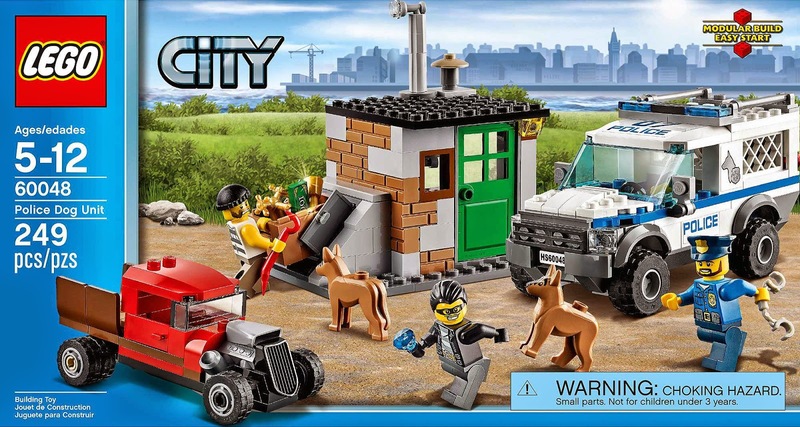 come with an off road police dog unit car, a hot rod and a hideout. 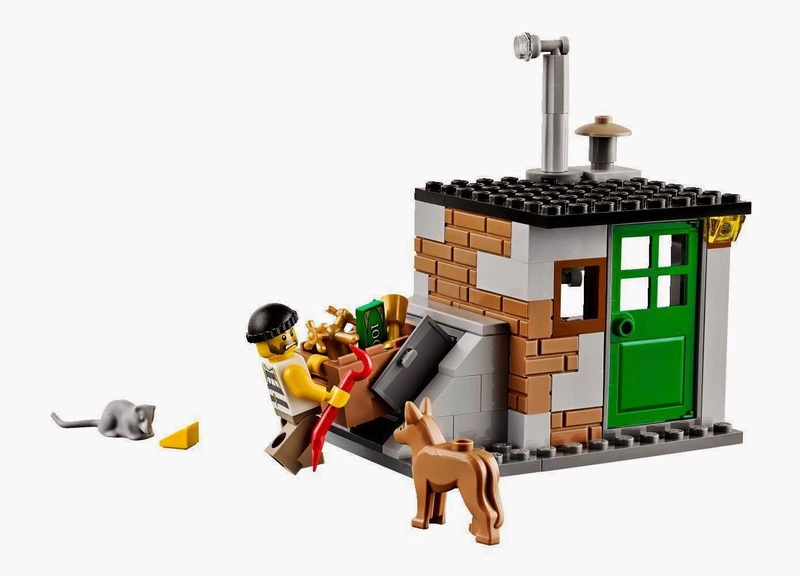 the hideout has an openable door, a window, a chimney, a periscope and a basement door. 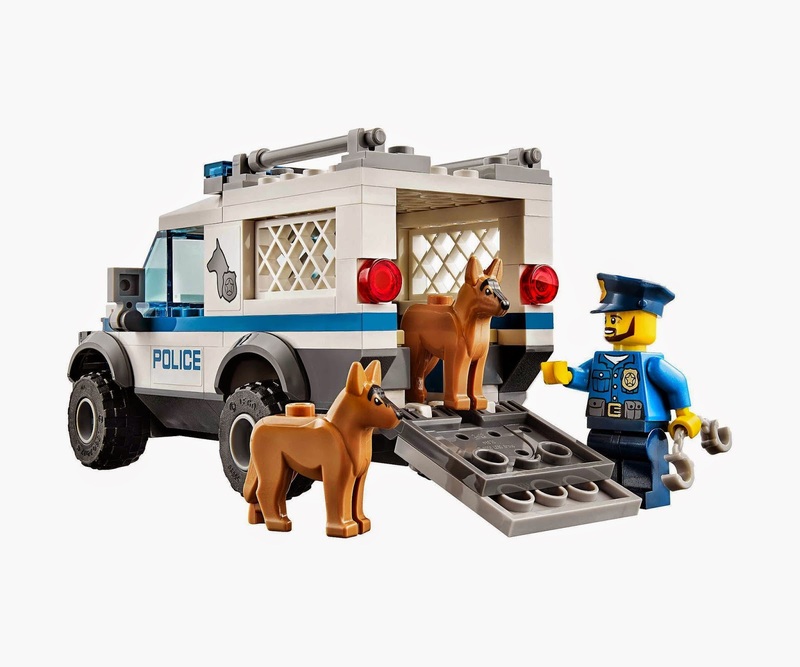 also included 2 police dogs. 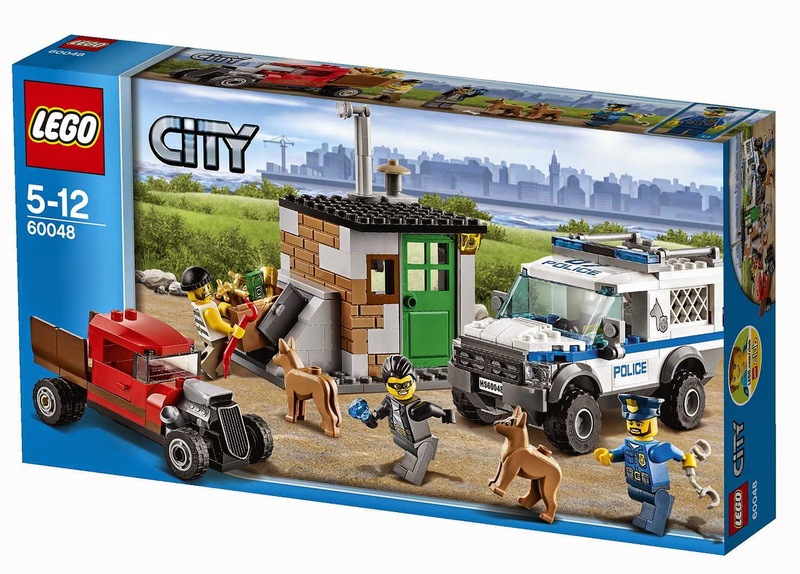 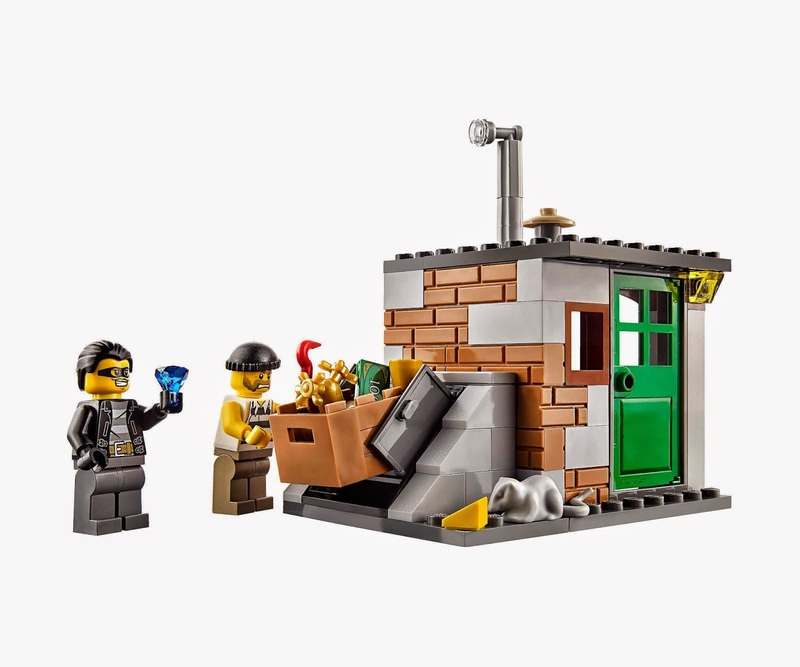 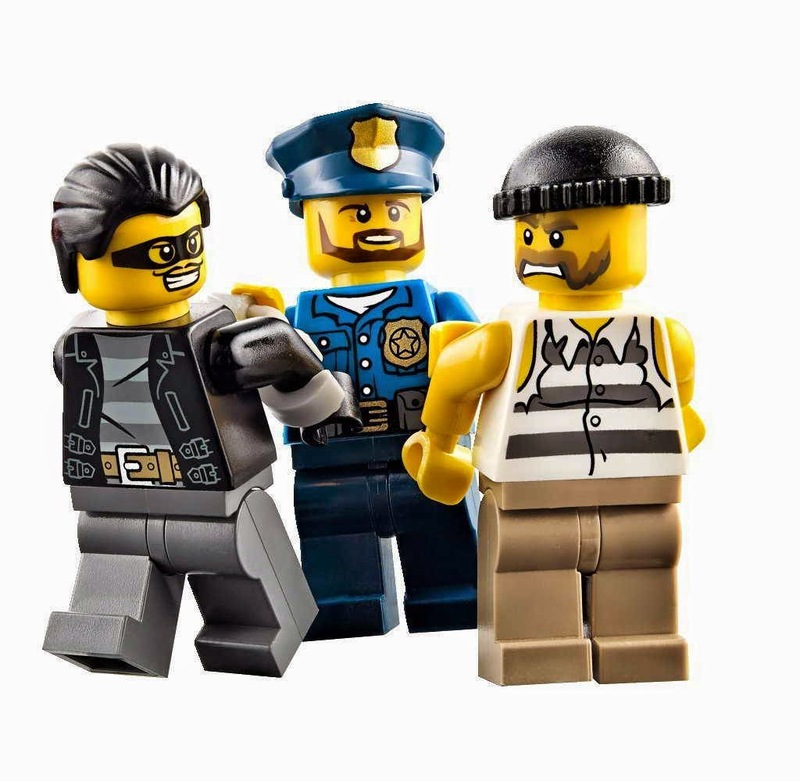 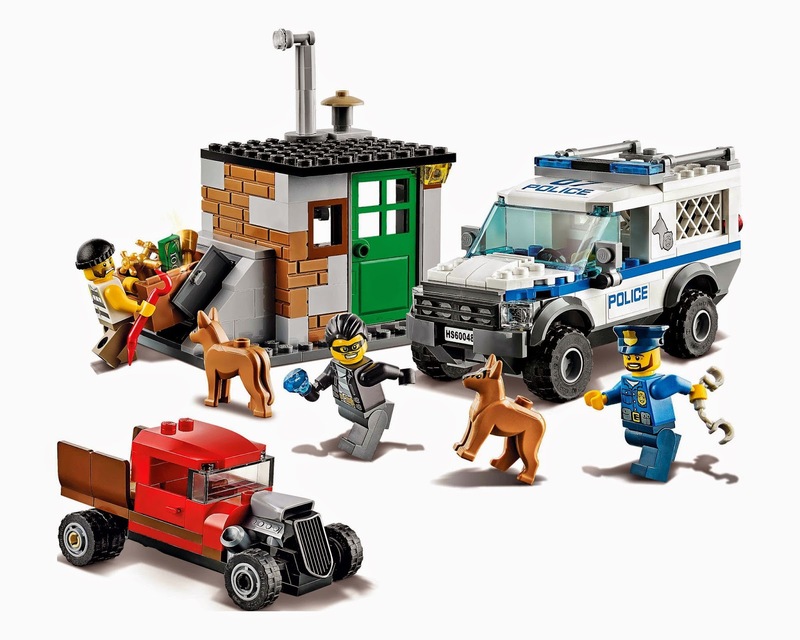 minifigs included a police minifig and 2 bandit minifigs.